WOW! Look at all that Global Warming!! OK, does this make Al Gore the biggest scam artist of all time, NOW??? OKLAHOMA CITY (AP) - Oklahoma residents were mostly spared a threatened second wintry blast on Saturday, as crews were still working to restore power to homes and businesses blacked out by last weekend's storm. 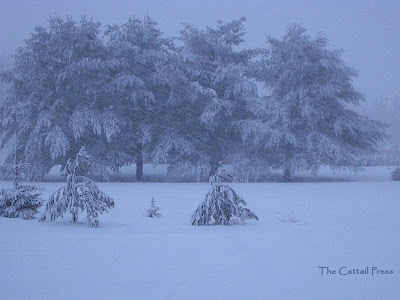 Neighboring Kansas, however, had up to a foot of snow Saturday morning as the storm took aim across the Midwest into New England. Hundreds of thousands of people were still in the dark in Oklahoma, Kansas and Missouri. As the storm's track shifted northward, the National Weather Service canceled heavy snow warnings for Oklahoma early Saturday. Central Oklahoma got only cold, light rain during the night, turning to snow during the morning. One to 3 inches of snow was forecast. The Kansas Highway Patrol reported Interstate 70 in central Kansas was snowpacked. Is there any doubt, (as if there was before this) that Albert Gore is a scam artist, the Nobel Committee are among the dumbest people alive (and shoudl be forbidden to breed) and all the enviro idiots are insane. Give back the money Al, before they charge you with a crime. No doubt that global warming is very debated. I, however, have never heard that man is causing global cooling. For this - all I can say is that I hope that the people that believe this is natural are not wrong. But if man is causing at least part of the problem then why not do all we can. One thing not in dispute is that we cannot continue to use non-renewable sources on energy forever. Are you familiar with the ground floor movement to take solar to the masses by a company called Citizenre? They are trying market solar with an approach similar to satellite TV, cellular telephones, and alarm systems. That is to provide the customer a complete solar system with no upfront charges and make money from a service contract. In this case the service contract would be a rent agreement. They intend to put a complete solar system on clients home. When the system produces electricity, it will lower the bill from the current utility provider. In most cases the savings from the lower bill will more than cover the rent fee that the company intends to charge. The company currently has no product available but intends to deploy in the middle of 2008. They are currently taking reservations and have over 26,000 takers so far. I have written several articles on this company in my blog and even have a couple of videos that I have recorded at www.solarjoules.com. Feel free to take a look. I welcome comments. As in any start up business, a chance exists that they may never get off the ground and fulfill any preorders, but if this is the case - the potential client has not lost anything. If you cannot afford the upfront cost of solar today, this may turn out to be a great alternative. This solution would mean that we could produce at least a little less pollution and would be a great step "just in case". And hey, the fact that you will save money on your electricity bill over time is a pretty good reason to look into it as well. If anyone would like company information you can go to www.jointhesolution.com/razmataz.